Attorneys often lament that people don’t realize the importance of making a will. People often think a Will is a death sentence. Some other common reasons that people give for not writing one is that they don’t have anything to leave, that they don’t have anyone to leave their property to, or that they think they won’t be able to afford it. More often than not, lawyers say, people don’t realize that they have valuable assets they can leave, or that it is really not expensive or time-taking to get a will drafted. They can’t stress enough on how wrong it is to think that what they own will automatically pass to those they think will benefit. Here’s a look at what really happens when a person dies intestate, or without a Last Will. What happens without a Last Will? 1. The court decides who gets what. You have no control over which of your family members will get what part of your estate. The probate court will immediately take control of your assets and then distribute them according to your state’s intestacy laws. The main problem with this is that if you have real estate and property in more than one state, then different sets of laws will apply, and you may have different sets of beneficiaries. Moreover, if you have promised someone you love a valuable asset that has monetary or sentimental value, your wish will very likely be overruled by the court unless you mention it formally in a Will. 2. Probate costs have to be met by remaining family members. When you die without a Will, your property automatically falls under the control of the probate court. Of course, having a Will does not mean you can always avoid probate, but not having one is a sure-shot way of having the probate court take control. The costs of probate are high, including the fees for lawyers. This cost will have to be borne by your loved ones. 3. There may be tax consequences for the heirs. When you die, an estate tax will be levied on your heirs. Whether you have a Will or not will make no difference to whether your assets are liable for Estate Tax or not. However, how you word your Will can help you reduce the tax. 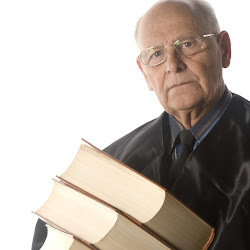 A lawyer can help you write your Will so that your heirs get maximum benefits from your assets. If you are now convinced that you need to draft a Will as soon as possible, you must consult a Wills attorney Nassau County NY directories and the Bar Association can help you find one. Remember that making a Will is not going to bring forward mortality, but ensure that you leave your hard-earned assets to your loved ones exactly the way that you want to. Click here for more details.